Sami Khedira gave Germany an early lead against the Republic of Ireland as they booked their passage to the 2014 World Cup finals. Romelu Lukaku scored both Belgium's goals in the 2-1 away win over Croatia which ensured their qualification for Brazil 2014. 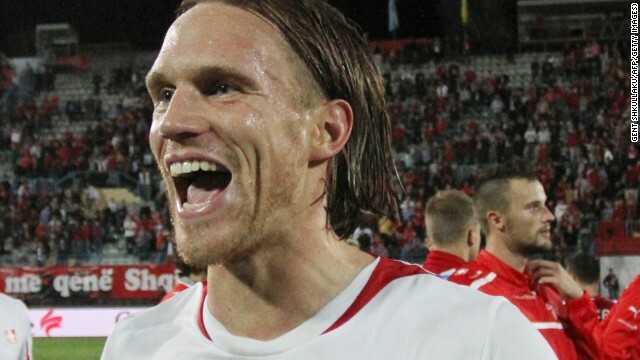 Switzerland's Michael Lang scored the crucial second goal in their 2-1 win in Albania to clinch qualification for football's global showcase. 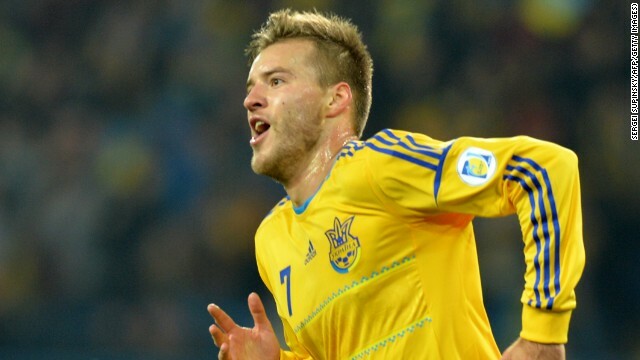 Ukraine's Andriy Yarmolenko celebrates his crucial goal as they beat Poland 1-0 in Kharkiv to keep alive their hopes of qualification from Group H.
Wayne Rooney made the much needed breakthrough for England against Montenegro at Wembley as they remained top of Group H with a 4-1 victory. Alexander Samedov was on target for Russia as they boosted their qualification hopes with a 4-0 victory against minnows Luxembourg. Robin van Persie scored a hat-trick in an 8-1 thrashing of Hungary by his Dutch team who have topped Group D.
(CNN) -- Colombia, Germany, Belgium and Switzerland became the latest teams to book their passage to the World Cup finals next year while England looks set to join them. The Colombians confirmed their place in Brazil in thrilling fashion, rallying from a three-goal deficit to draw Chile 3-3 at home. Colombia trailed 3-0 at the interval before Teofilo Gutierrez began the comeback in the 69th minute. Radamel Falcao then netted two late penalties to give Colombia a spot at the World Cup for the first time since 1998. "At halftime we told each other that we could come back," Falcao told reporters. Colombia manager Jose Pekerman never lost faith, either. "We knew beforehand this would be one of the best games of the qualifying round because of the two teams and how they've been playing," Pekerman told reporters. "We had two halves -- one was absolutely Chile's and the other was undoubtedly Colombia's." Colombia became the second South American nation to progress through qualifying, following Argentina. Germany have long since been in command of Group C and a 3-0 scoreline against the Republic of Ireland on Friday made it a mathematical certainty, while Belgium downed Croatia 2-1 in Zagreb to head Group A. The Swiss clinched Group E after a 2-1 away victory over Albania with Bayern Munich's Zherdan Shaqiri and Michael Lang scoring in either half before a late home consolation for Hamdi Salihi from the penalty spot. Read: Belgium: Football's coming force? Football fan Roger Federer tweeted "Switzerland made it to the World Cup, how happy am I on a scale 1-10? About a 25. Great effort and congratulations." England likely must still win its final home match against Poland to win Group H but the three points against Montenegro following a 4-1 victory was vital after Andriy Yarmolenko had given Ukraine a 1-0 home win over the Poles to briefly top the section. 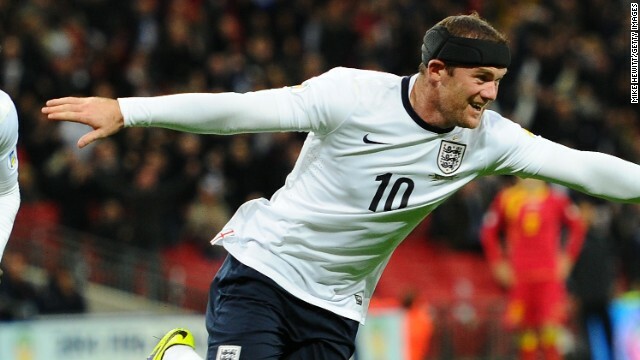 With Ukraine playing San Marino in the last match it meant three points were vital for England and debutant Andros Townsend proved the key, setting up Wayne Rooney's strike and effectively settling proceedings with a run and resounding shot that made it 3-1 in the second half. "Perhaps the most important goal was Andros's goal, because that restored our two-goal margin," England manager Roy Hodgson told ITV Sport. The Germans will be among the favorites to lift their fourth World Cup crown next year and Real Madrid's Sami Khedira gave them an early lead against the Irish. Chelsea's Andre Schuerrle and Arsenal's new signing Mesut Ozil grabbed further goals in the second half for a comfortable victory in Cologne. Belgium have established a reputation as one of the leading sides in Europe and the Red Devils showed their quality again in Zagreb. 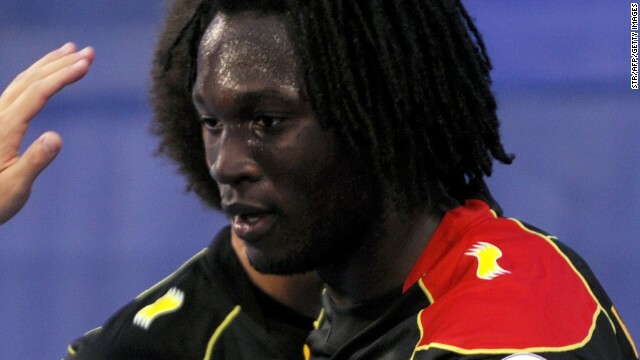 Striker Romelu Lukaku, on loan at Everton from Chelsea, scored two first half goals in the 16th and 38th minutes to put the Belgians in control. Russia, the 2018 host, only needs a draw against Azerbaijan in Baku next Tuesday to clinch Group F.
A 4-0 victory in Luxembourg kept Fabio Capello's team ahead of nearest rival Portugal, which was held to a disappointing 1-1 home draw by Israel. The Netherlands had already qualified but showed no signs of easing off in Group D with an 8-1 rout of Hungary, which is bidding for a place in the European playoffs. 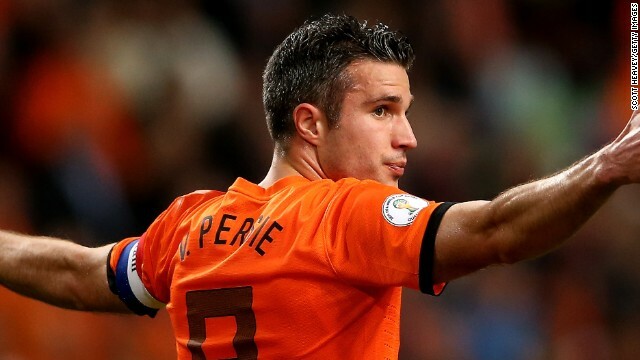 Manchester United's Robin van Persie registered a hat-trick to become his country's all-time leading scorer. The rout cost Hungary boss Sandor Egervari his job -- he resigned after the game. Another coach, Holger Osieck, was fired after Australia lost 6-0 in a friendly against France. Australia already qualified for the World Cup but it was a second consecutive 6-0 drubbing after a defeat to Brazil in September. Group G will be decided in the final round of matches as leaders Bosnia-Herzegovina beat Liechtenstein 4-1 and Greece stayed level on points with a 1-0 win over Slovakia. Is Rio ready for the World Cup? Greece hosts Liechtenstein, while Bosnia faces a trickier test in Lithuania but has a vastly superior goal difference. World and European champion Spain is also on the brink of qualification after a 2-1 win over Belarus in a Group I match that was under threat after a generator blew up in the car park of the stadium in Mallorca Thursday. Barcelona's Xavi and Alvaro Negredo of Manchester City put Spain ahead with second half goals before Sergei Kornilenko's late strike for the visitor. The nine group winners all qualify for the 2014 finals while the eight best runners-up enter the playoffs for the remaining four spots. 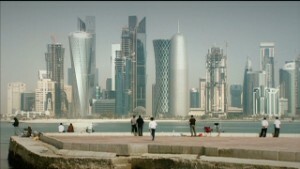 Meanwhile, world governing body FIFA has said over six million applications have been made for next year's finals in Brazil. 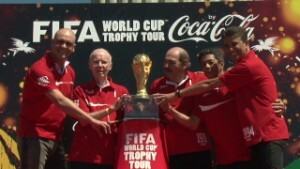 The requests came from 203 countries and FIFA will allocate the tickets from a random draw. 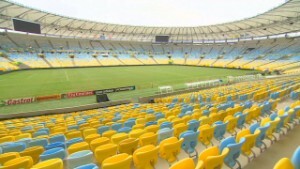 Over 70% of the applications came from Brazil, with over 700,000 bids for tickets for its opening match.